Through the word cloud, it is clear that when Hurricane Irma hit people were worried about people’s safety and stressing the fact that this was a strong storm. Twitter was used as a way to spread awareness regarding the impact Irma was going to have on Floridians and people in the Caribbean. The Latest Activity graph shows that the storm’s effects were most severe during September 5th to September 8th. This is when Twitter users used the platform to direct people to safety, mark themselves as safe, and reach out to loved ones. 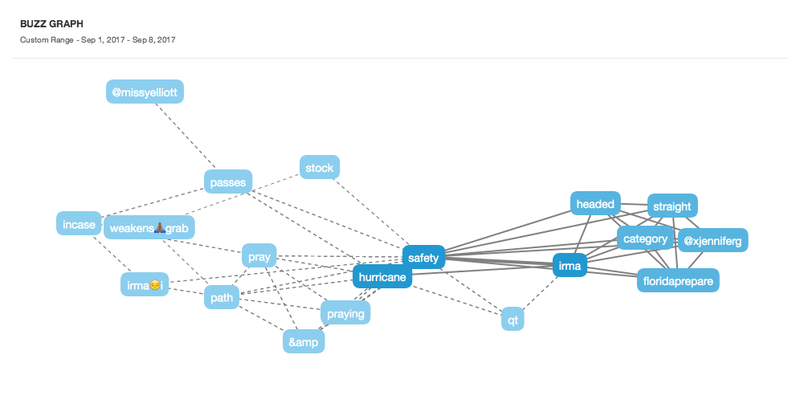 The Buzzgraph shows that the typical words such as safety, hurricane, category, and pray were most used on Twitter. But, it also shows that twitter was able to shine positivity on this devastating event. Missy Elliot is mentioned because she, along with many other twitter users, showed praise to the ASL interpreter during the press conference with Florida’s governor, for being so expressive in his translation. Hurricane Irma hit the United States the hardest and this map shows that. 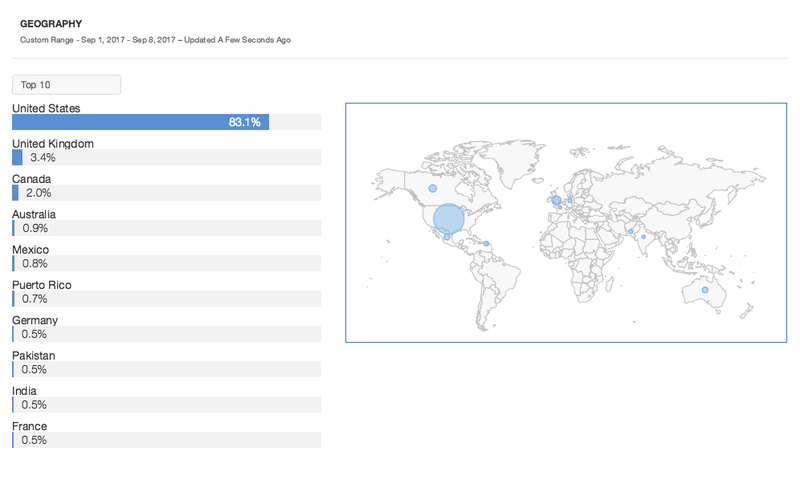 While there was some international engagement, it makes sense that the audience for this trending topic were predominantly American. "Hurricane Irma is a category 4 headed straight to Florida. Prepare for safety!" This tweet received over 5,000 retweets and was tweeted out the day before Hurricane Irma hit Florida. It is interesting that this is the most circulated tweet; it shows that in the midst of a tragic event people still look to Twitter for comic relief. Some may argue that this tweet is immature and inappropriate to precede the tragedy about to come, but that is at the discretion of the individual Twitter user.